I really hated how I looked and how people looked at me. My mind was very messed up and my body was not healthy. 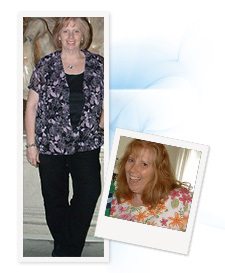 I had two children, and never lost the extra weight after them. I was tired all the time, and completely stressed out with never having any "ME time." My cousin did very well with weight loss surgery at Barix Clinics several years before and described the procedure to me. I watched her transformation in AMAZEMENT, and decided when she was able to keep it off that I was doing it too! I decided almost 3 years ago to the day that I was ready for a change and just did it! Barix Clinics would be my only choice for this surgery! The people there were very supportive and very knowledgeable. They knew just what to do from the front desk, to the insurance and clerical department, to the honest, direct approach of my surgeon.The nurses had me up right after the surgery. They encouraged me, saying even if I could not sleep, just walk. And that is exactly what I did. I was able to go back to work a week after my surgery! Dr. Poplawski said, “If you do what I say, you will be successful,” and he was RIGHT. He is straight-forward, and I loved that about him! Because of that, I listened, and was successful. My success inspired two of my good friends whom I work with to go with the team at Barix Clinics. When you are overweight, you dream of what it would be like just to be thinner; to not turn away when you look in the mirror or when photos are being take; to not wonder if you will fit into a rollercoaster bench, plane seat, or even a restaurant booth. If you have not been that heavy you can't know what I am talking about. I had this dream that I never thought would come true. I was wrong. I have had SO MANY people ask me if they should do it. I would say; for me and some others whom I know. It was a HUGE decision and we were ready to make it. I was READY. It was the best decision to help fix myself. But the key to success is that YOU HAVE TO BE READY FOR A LIFE-LONG CHANGE. The surgery will help, but you need to reprogram your thinking about food, too. You can’t stuff your mouth with just anything anymore. Everything requires thought...and that’s ok with me! When I make a bad decision, my body quickly reminds me why I can't make that decision again. This surgery was MY answer and I wish I would have done it YEARS before I did. If you are READY like I was, then you will give 110% to a lifelong commitment, and the surgery will be your answer too. And you will succeed.